Fix – SD card not showing up and SD card not recognized. “SD Card not showing up, or not recognized” problem isn’t new. And, still, there isn’t any working solution available on it. Though, some blogs have written about this issue. But, those solutions not working with latest Windows. If you’re facing the similar issue, and not able to solve the problem. Then, you’re reading the right article. 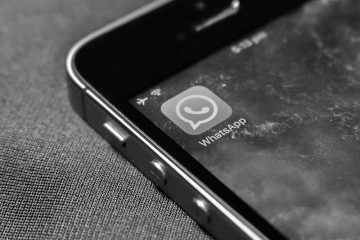 In this article, I will not tell you only solutions. Also, will discuss some possible causes of this error. This problem could occur due to multiple reasons. 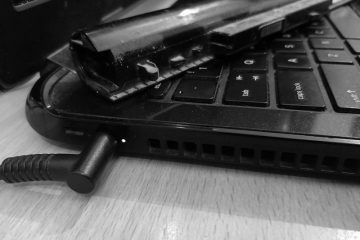 USB Port or SD Card reader got damaged. Corrupted or incompatible driver issue. Some basic solutions, and the things that you should check. Make sure SD Card isn’t broken. And, you have inserted SD Card properly. Connect your SD Card to another Computer. To find out that problem is with SD card or it’s the driver issue. Some SD Card comes with lock/unlock switch. Make sure SD card is unlocked. 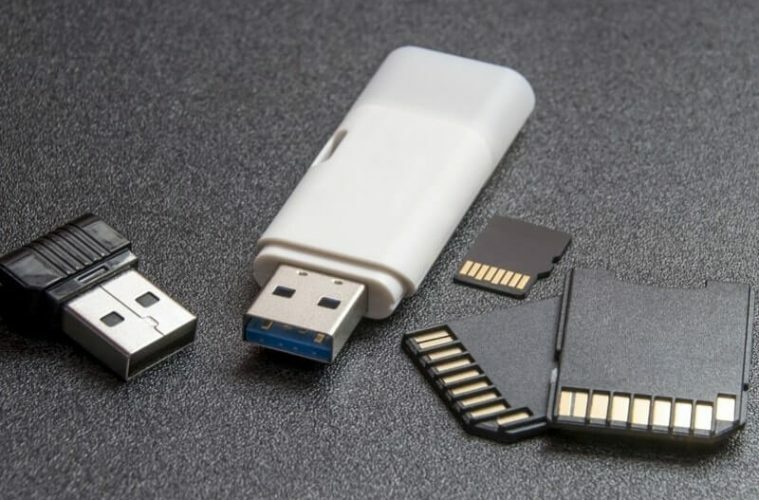 Connect other USB devices to PC. To check USB port is working or not. 1 Fix – SD card not showing up. 1.1 Solution 1. Disable and re-enable SD Card. 1.2 Solution 2. Update Driver Software. 1.3 Solution: 3 Change the drive letter. 1.4 Solution: 4 Format SD Card using CMD. 1.5 Summing – up – SD card not showing up. Fix – SD card not showing up. Solution 1. Disable and re-enable SD Card. Are you able to hear USB connected sound? Then, this solution might work for you. If you’re using Windows 10, then right click on the start button. After that click on “device manager” from the list. 2. In the device manager, expand the “portable devices” option. Here you can see connected memory card. 3. Right click on it, and then click on Disable Device. After disabling SD Card, again right click on it, click on enable. You might receive the warning while disabling the SD Card. So, you need to click on OK to confirm. IMPORTANT – If you’re using Realtek card reader. Then expand memory technology devices or SD host adaptors. Now, you will able to see “Realtek PCI-E Card reader”. You need to disable and re-enable it to fix “memory card not showing up” problem. Solution 2. Update Driver Software. 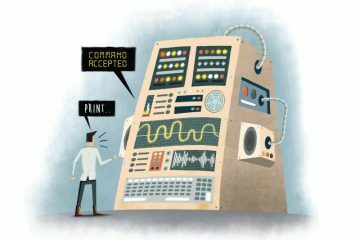 Drivers are the small piece of code, which helps hardware to communicate to the operating system. If you’re facing “SD Card not recognized” error. Then, there could be two reasons behind it. The card reader is damaged or USB port issue. And, this error also occurs, when, a driver not installed properly. There are three ways to install Driver of the card reader. Though, Windows automatically start searching for the driver, when you connect the card reader. Note: Before installing the latest driver software. Open device manager, and then right-click on your card reader. Click on “Uninstall Device”, click on OK to confirm. Restart Computer Now. Expand the “Portable Devices” option, right click on your SD Card. You”ll get two option, Click on “Search automatically for updated driver software”. Now, Windows will start looking for the latest driver file. Visit the official site of card reader manufacturer. And, by using your card reader model number. You can download driver software. After that, install it like normal Windows software. For Example – If your card reader manufacturer is Realtek. Then search online for “Realtek Card Reader driver”. And, you”ll able to find out driver software. 3. Use Driver Updater Software. I don’t recommend to pay for premium driver updater software. But, if driver software isn’t available on manufacturer site. Also, if the device manager showing a yellow mark is showing on your card reader. Then, you can try “Uniblue DriverScanner” software. And, hopefully, “SD card not showing up” problem will get resolved. 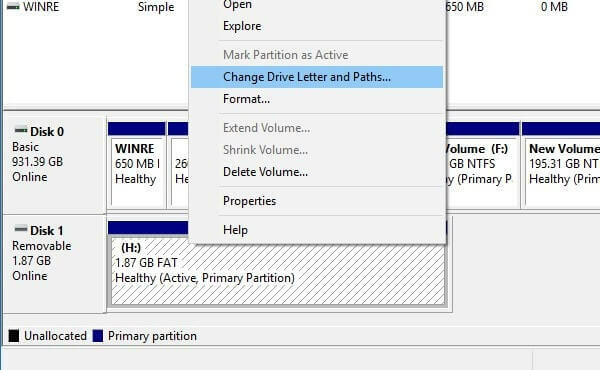 Solution: 3 Change the drive letter. Sometimes, our Computer assign drive letter (C, D, E, F). Which create conflicts between drives. And, then, in file explorer, SD Card doesn’t show up. But, you can fix this issue, by assigning a new drive letter and path. 1. 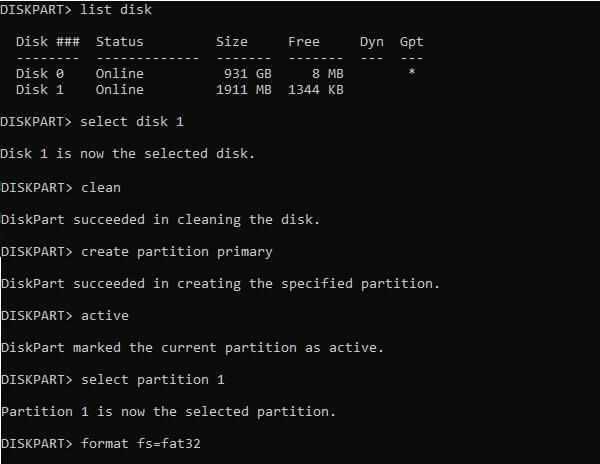 Right-Click on Start Button, then choose “disk management” from the list. Disk management is Windows utility. Which allows to create and manage partition in Windows. 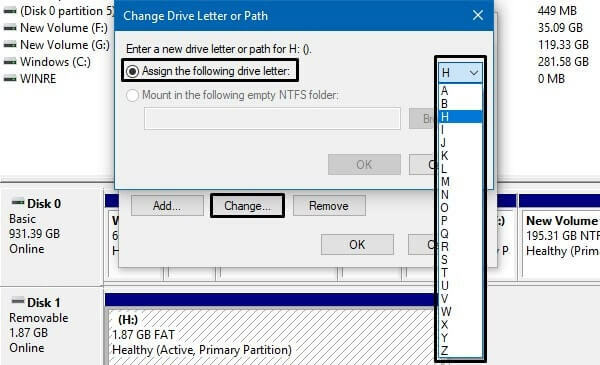 Right-Click on your SD Card drive, click on “Change Drive letter and paths”. 3. Click on the change button. Now you can select a different letter from the drop-down menu. Click on OK, then click on Yes. If it’s asking for confirmation. Solution: 4 Format SD Card using CMD. If the SD card got corrupted, or, formatted wrongly. And, that’s why “SD Card not showing up” in File Explorer. Then, formatting the SD Card using the Diskpart is the best solution. Though, you”ll lose all your important data. But, this problem will get solved completely. 2. Press Win + R key simultaneously, type CMD and press enter. 3. Type Diskpart and press enter. UAC Window will get open, click on OK.
4. Now, type the following commands in the Diskpart window. And, press Enter key after each command. Summing – up – SD card not showing up. So, these are the only working solutions which you can try. First, you need to find out that the hardware parts are working properly or not. After that, you need to check, driver software is updated or not. If after installing driver software still, “SD Card not showing up”. Then, use Diskpart to format SD card. Also, you can try assigning a new drive letter and path. There are a few software, that claims to fix faulty SD card. 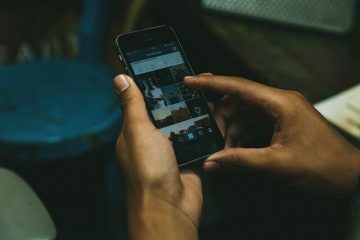 But, don’t waste your time in downloading those SD card repair software. If the issue doesn’t get resolved after trying these solutions. Then, feel free to comment. Previous ArticleFPS Counter for Android, check in-Game FPS – Without Root.